Sam Rainsy leading villagers uprooting border poles on 25th October. On 26 November, a group of several dozens of officials from the Council of Ministers and border defense guards came to review the area and they also took video of the location where opposition leader Sam Rainsy uprooted border post stakes out a rice field belonging to a Cambodian farmer on 25 October. Furthermore, on 26 November, RFA reporter and an activist for the Adhoc human rights group were not allowed to approach or take pictures of these officials. Villagers who are currently concerned about losing their rice fields from border demarcation with Vietnam in Samrong commune, Chantrea district, Svay Rieng province, said on 29 November that two officials from the joint border committee came to survey the border under high secrecy on 28 November 2009. Such activities generate suspicion among the villagers. On Saturday, 38-year-old Meas Srey, who lives in Koh Kban Kandal village and whose rice fields were planted with stakes for border post no. 185, are suspicious of the activities conducted by the two officials. 38-year-old Chhin Soveth, a farmer from Koh Kban Kandal village also, said that he did not understand the activities and the goals of these officials. Pov Pheap, the no. 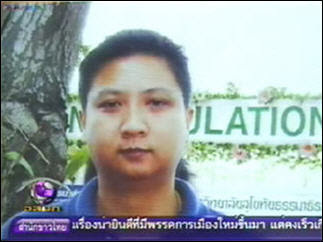 2 Samrong commune councilor, claimed that border survey officials never contacted or cooperated with commune officials. He said that he does not understand the action taken by these officials on Saturday. 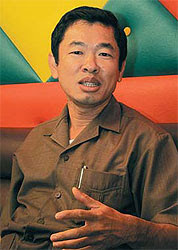 Chea Yeang, the Chantrea district governor, said that he did not know that survey officials came to work on 28 November. But SRP spokesman Yim Sovann (pictured) said that reports of a mass defection in Meanchey district were exaggerated, accusing the CPP of trying to sow discord while party president Sam Rainsy is away in Europe. 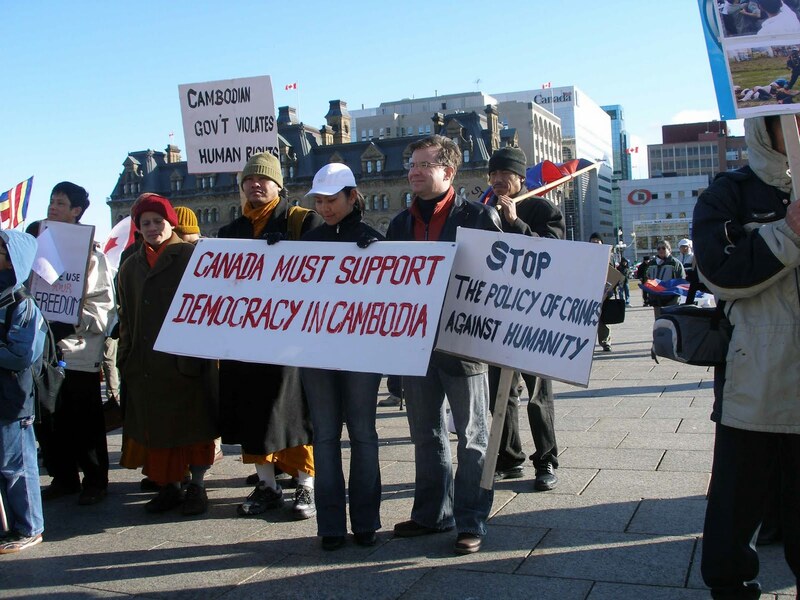 PHNOM PENH, 30 Nov – Tomorrow, 1 December 2009, the Kingdom of Cambodia will be subject to the first Universal Periodic Review of its human rights record. The Universal Periodic Review, a process created in 2006 to review the human rights record of UN-member states, takes place in Geneva under the auspices of the 47-member United Nations Human Rights Council. The Cambodian Center for Human Rights (CCHR) welcomes this opportunity to examine areas where the Royal Government of Cambodia (RGC) can adjust its policies and behaviour to ensure the protection of the human rights of those it was elected to serve. The Universal Periodic Review, which takes place every four years, provides an opportunity for each State to outline the action taken in the preceding period to improve the human rights situation in the country and fulfil its human rights obligations. It also allows for civil society organizations to prepare submissions to the Human Rights Council on the state’s human rights record. On 13 April 2009, a coalition of non-governmental organizations (NGOs), coordinated by the Alliance for Freedom of Expression in Cambodia (AFEC) and assisted by the Asian Legal Resource Centre (ALRC), made a Joint Submission to the Office of the United Nations High Commissioner for Human Rights (OHCHR). 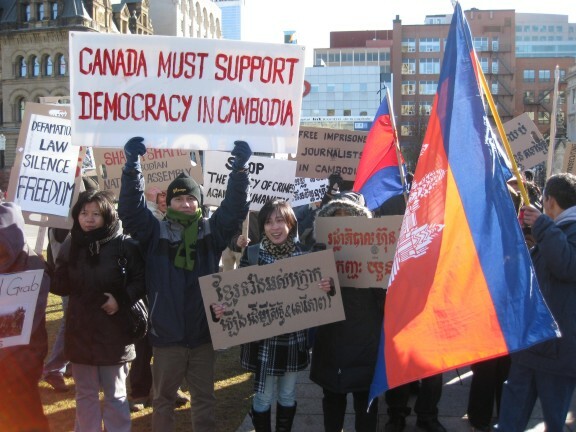 The Joint Submission, which included contributions by CCHR, raised serious concerns about the decline of freedom of expression and assembly in Cambodia in recent years. The submission, which concluded with a number of recommendations to help increase freedom of expression and assembly in Cambodia, has been incorporated into the stakeholder report compiled by the OHCHR. The full submission is available at www.cchrcambodia.org. In the week leading up to the review, CCHR has been writing to Human Rights Council member states and other bodies with an interest in the review, including the Special Rapporteur for Freedom of Expression and Information, to highlight recent developments and the recommendations included in the Joint Submission. It implores member states of the Human Rights Council to use the Universal Periodic Review as an opportunity to hold the RGC to account for its frequent violations of its international and constitutional human rights obligations. CCHR hopes that the UPR Outcome Report reflects the concerns outlined in the Joint Submission and that the UPR Working Group finds ways to ensure that human rights have a proper place in Cambodia and are duly respected. The review process, beginning at 3pm Central European Time (9pm local time), will be available for viewing live via webcast at http://www.un.org/webcast/unhrc/. The three reports that will be used as the basis for Cambodia’s review are available at http://www.ohchr.org/EN/HRBodies/UPR/Pages/Documentation.aspx. A group of young men from a village on the Thai border in Oddar Meanchey province say a Thai soldier shot and killed their friend on Friday after a border patrol caught the youths picking mushrooms on the Thai side of the border. Peng Pek, 25, said he and his six friends crossed into Thailand on Friday to gather mushrooms. As they approached the Cambodian border at a spot near the O’dar river, a Thai soldier fatally shot Sok Samnang, 19. “We are young, poor students who were picking mushrooms to earn money for school,” Peng Pek said. “When we saw the soldiers we ran, and they fired at us three times. When the gunman saw Sok Samnang fall down, he stood there laughing.” Peng Pek said that many of the boys from his village of Aphiwat regularly gather mushrooms across the border, selling them to Thai merchants for 2,000 or 3,000 riels per sack. Oddar Meanchey Governor Pich Sokhin said authorities often warn villagers not to cross the border because of the military presence there, but could not comment on what steps would be taken with the Thai authorities. A funeral was held for Sok Samnang in his village on Sunday. 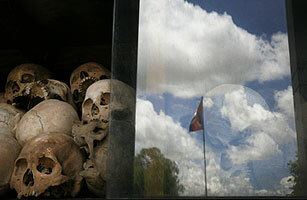 A memorial at the Choeund Ek mass grave site in Cambodia is composed of victims' skulls. A flag is seen reflected in the glass at right. When the Khmer Rouge emptied the Cambodian capital Phnom Penh of human inhabitants in 1975, one of Pol Pot's soldiers murdered four-year-old Theary Seng's father. Later, Theary Seng, her mother and siblings ended up in a prison in southeast Cambodia. One day, Theary Seng awoke to an empty cell — the entire prison population had been massacred overnight. In a rare act of mercy, the Khmer Rouge soldiers allowed the handful of children to survive. Theary Seng eventually escaped to a Thai refugee camp and then to the U.S. Her story is by no means unique in Cambodia. In just this one prison in Svay Rieng province, between 20,000 and 30,000 people were executed, and during the Pol Pot era, about 1.7 million Cambodians died — more than 20% of the country's population. Such has been the topsy-turvy nature of the tribunal. Indeed, even getting just to the end of the first case was an ordeal. There have been allegations of a kickback scheme where Cambodian employees at the tribunal are forced to pay back a part of their salaries to the government officials who gave them their jobs. On two different occasions, only last-minute donations from Japan allowed the Cambodian-side of the court to pay its staff. Then, in a fiasco dubbed "Waterlilygate," one of the international lawyers said documents found in a moat filled with lilies had been stolen from his office. 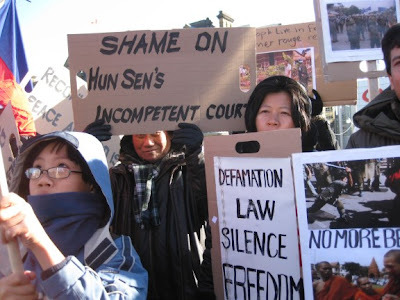 And last week the New York-based Open Society Justice Initiative, an international law monitor, accused the Cambodian government of meddling with the tribunal, claiming "political interference at the ECCC poses a serious challenge to both the credibility of the court and its ability to meet international fair trial standards." About 28,000 people attended Duch's trial at the ECCC on the outskirts of Phnom Penh, and millions more Cambodians followed the tribunal on television and the radio. With about 70% of the Cambodia's 14 million people born after the Khmer Rouge regime, the trial enabled an entire generation to learn about their country's terrible past. Youk Chhang the director of the Documentation Center of Cambodia says that the fact that the tribunal was held in Cambodia was key to sparking interest in the trial and knowledge about the period. In January, the University of California Berkeley's Human Rights Center released a report saying that 85% of Cambodians had little or no knowledge of the trial. Now, with the distribution of a new textbook on the Khmer Rouge coinciding with the trial, Youk Chhang says "the whole country is aware." The tribunal has also helped Cambodians in unexpected ways. A counselor sits next to every survivor who testifies — at one point during the Duch trial, a judge even ordered a witness to see a psychiatrist, according to Sotheara Chhim, a Cambodian psychiatrist and director of the Transcultural Psychosocial Organization (TPO). An estimated 14% of the population suffers from post-traumatic stress disorder, and Sotheara Chhim says the number of people who suffer from depression or anxiety is likely much higher than that. Though information about mental health is still limited in rural Cambodia, "the trial brought out a lot," Sotheara says. Now comes the waiting. A verdict for Duch isn't expected until March. For Theary Seng, the Duch case "is sort of a test trial" for the more important Case Two when four high-ranking Khmer Rouge leaders will be in the dock: Nuon Chea, 83, who was second in command to Pol Pot; former head of state Khieu Samphan, 78; former foreign affairs minister Ieng Sary, 84; and Ieng Thirith, 77, the ex-social affairs minister. They are expected to face the tribunal in 2011 in a case that could last years. Case Two, says Theary Seng, will make Duch's case look like "a cakewalk." Unlike Duch, the four defendants held high-level positions in the Khmer Rouge, have denied complicity in war crimes and refused to apologize. Time is also running out. With the youngest defendant aged 77, some or all of the defendants may not live long enough to face the tribunal. 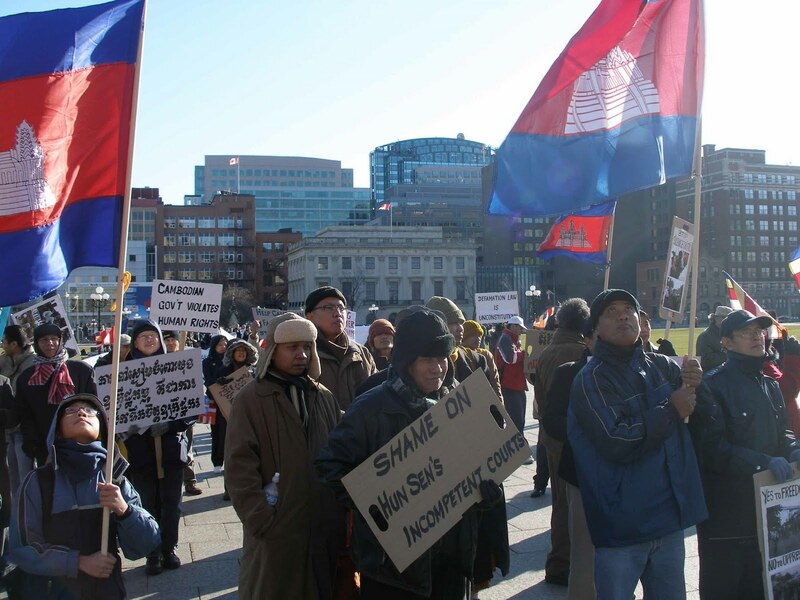 If the past year is any indication, the tribunal will face many more hurdles, but Theary Seng says it has benefited Cambodia. The trial, she argues, has generated much-needed discussions about history as well as mercy across the country. Says Theary Seng: "The Khmer Rouge tribunal has triggered a process of forgiveness." And perhaps a process leading finally to closure. The Khmer Rouge's executioner-in-chief, the prison boss allegedly responsible for the torture and murder of more than 12,000 people, appeared in court today to express his "excruciating remorse", asking that he be allowed to meet his victims' families to apologise in person. Kaing Guek Eav, known as Comrade Duch, told a courtroom packed with about 600 people – many of them survivors of the Khmer Rouge regime – that he took full responsibility for the torture and murders that occurred at the Tuol Sleng prison in the 1970s. "I am solely and individually responsible for the loss of at least 12,380 lives," he said. "These people, before their deaths, endured great and prolonged suffering and countless indignities. I … forever wish most respectful and humble apologies to the dead souls. "As for the families, I [am] asking you to kindly leave your door open for me to make my apologies. May I meet with you to allow me to share your intense and enduring sorrow any time in order to express my most excruciating remorse?" The apology, broadcast live on national TV, left many Cambodians cold. Bou Meng, one of only a dozen people to have walked out of Tuol Sleng alive, said he doubted Duch's sincerity. "We've wept together," he said, "I know my tears are coming from sorrow. But I don't know about Duch's tears." As a child, Norng Charnpal was rescued, filthy, starving and frightened, from Tuol Sleng when it was liberated. His mother died there. He told the Guardian he did not want Duch to apologise. "I don't want to hear this. It is not real and it is not enough for my family. Look at him, he is an old man, he has had a long life. The way he talked, I do not believe he is genuine." Dressed in a carefully ironed blue shirt, Duch, a former mathematics teacher, spoke calmly and coldly, his evidence littered with casual references to "the wishes of the party". As head of Tuol Sleng prison, a converted high school also known as S-21, Duch explained that his role was to "smash" people presumed disloyal to the Khmer Rouge movement. Every prisoner was assumed guilty, Duch explained, effectively "already dead". They were to be tortured for false confessions, usually that they were traitors working for the CIA or KGB, through electric shocks, beatings and whippings, water-boarding, having fingers cut off or toenails pulled out. The victims were then executed, most driven to nearby Choeung Ek, the Killing Fields, where they were bludgeoned to death with ox-cart axles and buried in mass graves. "Those people were the innocent, the clean, the very honest," Duch admitted. "I don't believe they had committed any wrongdoing, as they were accused." Speaking from a handwritten speech that ran to more than 10 pages, Duch said he found himself unwittingly caught up in a revolution he came to despise, and was forced to do his job at Tuol Sleng against his wishes, out of fear he would be killed if he refused. "I could not withdraw from it … I am very terrified." Earlier in the day, prosecutors asked that Duch be jailed for 40 years – in effect, a life sentence for the 67-year-old. He will be sentenced next year. The lead prosecutor, William Smith, refuted Duch's claim that he was acting only out of fear for his own life, telling the court "the accused was neither a prisoner, nor a hostage, nor a victim. He was an idealist, a revolutionary, a crusader … prepared to torture and kill willingly for the good of the revolution." Throughout the trial, Duch has listened attentively but impassively as the evidence of the murderous regime he oversaw is laid bare before the court. As the court heard this week of his orders that inmates who soiled themselves be forced to eat their excrement, Duch appeared inscrutable, taking meticulous notes of all that was said. 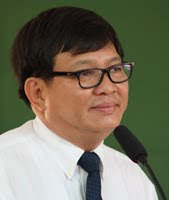 Thun Saray, head of the Cambodian Human Rights and Development Association, said no Khmer Rouge victims or victims groups had expressed any desire to meet Duch to accept his apology. He said a truth and reconciliation commission-style body, where victims could face accusers and seek apologies and explanations, had been proposed for Cambodia, but rejected by the people. "The majority of people are not interested in forgiveness. They want to see justice," Saray said. The ultra-communist Khmer Rouge ruled Cambodia for four years between 1975 and 1979. The regime killed – through starvation, overwork, disease and murder – an estimated 1.7 million people, one-quarter of the country's population. Duch is the first Khmer Rouge cadre to face trial. Four more senior leaders – including the regime's former second-in-command, Nuon Chea – are in jail awaiting trial, but there are concerns they may not live long enough to face a courtroom in 2011. A report this week by the Open Society Justice Initiative has said allegations of corruption among court officials, and the Cambodian government's open resistance to more trials, could derail the trial process. Former foreign minister Noppadon Pattama said on Monday that he had asked the Cambodian government to allow another visit by the mother of the jailed Thai engineer accused of spying. Sivarak Chutipong, an employee of Thai-owned Cambodia Air Traffic Services (CATS), was arrested on Nov 12 on charges of passing a state secret to Thai diplomatic officials - flight information about fugitive former prime minister Thaksin Shinawatra when he visited Phnom Penh. Mr Sivarak is being held in Prey Sar prison. His mother Simarak Na Nakhon Phanom (pictured) and younger brother (pictured) were allowed to visit him on Friday. Mr Noppadon, a lawyer and close associate of Thaksin, and Mrs Simarak held a press conference this afternoon. "I have contacted the Cambodian authorities and asked they allow Mrs Simarak to meet her son again," Mr Noppan said. "I called a press briefing on this because I don't want it to turn into a political issue." He said making an appeal for visiting rights in the name of humanity should be faster than working through the Foreign Ministry. It would be clear within the next day or two whether Mrs Simarak could meet her son again. Mrs Simarak said the help being provided by the Thai government was quite slow. "If I have to wait for the Foreign Ministry, I might be able to travel to Cambodia on Dec 7," she said. "I'm ready to do anything to help my son so he can be freed." "My son is innocent, but I would like my son to talk about the details." Earlier on Monday, Foreign Minister Kasit Piromya said the government was doing its best within the limits of the law to help Mr Sivarak, who had been consulting his Cambodian lawyer Kao Soupha. "In addition, a lawyer from the Lawyers Council of Thailand is available to help Mr Sivarak, who insists he is innocent," Mr Kasit said. Realization of the railway threatened - along six kilometres - which crosses the border between the two countries. The line should unite in Kunming in southern China to Singapore, along a path of 5300 km. End of work planned for 2015, for a total cost of 15 billion dollars. 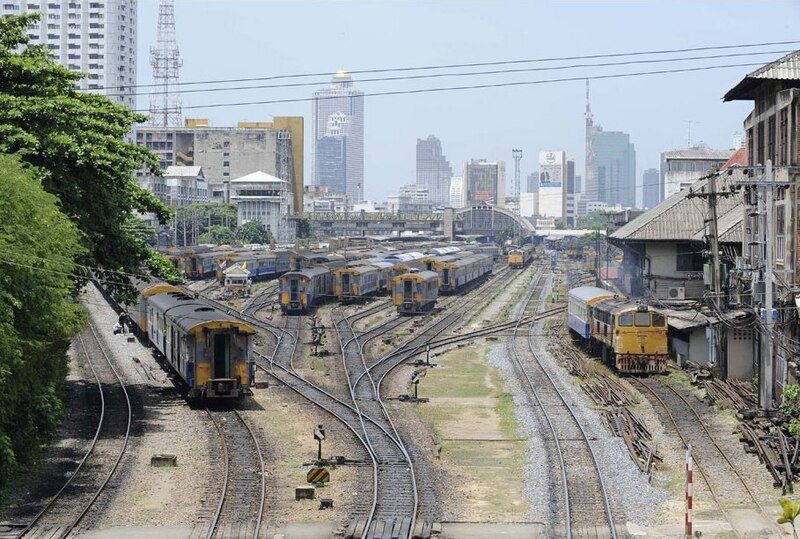 Phnom Penh (AsiaNews / Agencies) - The diplomatic crisis between Phnom Penh and Bangkok is seriously jeopardizing the completion of the Trans-Asian Railway in the area which will connect Kunming in southern China, to Singapore, along a path of 5300 km. The project of 15 billion dollars could vanish over just six kilometers: those needed to join Sisophon, Cambodia, to Aranyaprathet, Thailand. Cambodian government sources, on condition of anonymity, told the South China Morning Post (SCMP) they understand the reasons why Thailand "does not to continue the project while there are ongoing hostilities." A manager of the Thai State Railways confirmed that "negotiations are ongoing," but the situation is deadlocked. To undermine the project, the diplomatic crisis flared up between Phnom Penh and Bangkok after the decision of Prime Minister Hun Sen to take as Cambodian economic adviser former exiled Thai Prime Minister Thaksin Shinawatra sentenced to two years at home for corruption. The two countries withdrew their respective ambassadors. Following this a Thai citizen was arrested in Cambodia on charges of espionage. The track that crosses the border between the two countries is reserved for freight traffic. The line along Cambodia and Vietnam is the most important part of the project, the completion of which is forecast for 2015. It represents the crossroads between the different rail lines and will serve to improve the Cambodian railway, in a strategic point for the entire region. Paul Power, one of the engineers on the project, confirms that "it is difficult to imagine the completion of the work" if there is no stretch "along the border" between the two countries. "All this has implications at regional level" he adds, because "there is no point in the link between Ho Chi Minh City and Phnom Penh, without connection with Thailand." The Trans-Asian Railway (TAR) is a project aimed at creating an integrated rail network for Europe and Asia, sponsored by the Economic and Social Commission for Asia and the Pacific United Nations (UNESCAP). The work got under way in the 60s of last century, with the aim of establishing a rail link - a 14 thousand km track- which could unite Istanbul with Singapore, that follows on to China. Your editorial about the trial of accused Cambodian war criminal Kaing Guek Eav (Comrade Duch) states that "executing an individual provides an illusory comfort that the evil is gone" (Accountability And Death - Nov. 27). There is nothing illusory about an executed murderer. Rather, there is the absolute guarantee that he will never kill again. On 25th October, the Cambodian opposition leader, Mr. Sam Rainsy, led 100 villagers to uproot demarcation poles they said were illegally planted in the middle of their rice-fields by the Vietnamese authority. On 16th November, the Cambodian parliament, dominated by the ruling Cambodian People's Party, voted to strip off Mr. Rainsy's parliamentary immunity on charges of "sabotage". And on 28th November, Mr. Rainsy's supporters in Canada and the U.S protested to condemn the Cambodian parliament's action. Mr. Son Chhay (pictured), MP from the opposition Sam Rainsy Party (SRP), has submitted a letter of request to Deputy PM Sok An to explain about the border demarcations to the parliament, reports Radio Free Asia. Mr. Son Chhay said that the letter was sent through the president of the National Assembly, Mr. Heng Samrin, and requested Deputy PM Sok An to explain to the parliament on 17th December, 2009. "The people are so blinded and knew nothing about this activity (demarcation) until this phenomenon (Rainsy's uprooting on demarcation poles) happened and they wonder whether the government has implemented this policy properly or not. Why did our farmers lose their farmlands? Even the people in Mr. Heng Samrin's village have lost their farmlands. So, we want the people to know because in the past the demarcation works have been done without the participation of the journalists or members of parliament", Mr. Son Chhay said. Mr. Phay Siphan, spokesman for the Council of Ministers, said, by laws, the government will have to response to Mr. Son Chhay's request. "By laws, the government must explain in accordance with the request of any members of parliament with the approval of the chairman of the parliament. This is the law", he said. Mr. Var Kimhong, senior minister in charge of border affairs, said this is an old issue. However, he said he is happy to explain to the parliament about the issue. "Actually, like I said before that there is nothing to hide because when we asked for a ratification from the parliament in 2005, the Prime Minister has already explained to the parliament. So there is nothing that they don't know about it. Even the documents of the (1985) Supplemental Treaty (ratified in 2005) have been distributed widely and the government has already explained everything", he said. On 25th October 2009, opposition leader Sam Rainsy has led a group of 100 villagers to uproot six demarcation poles in Svay Rieng province because villagers claimed that those poles were planted illegally in the middle of their rice-fields. On 16th November, Mr. Sam Rainsy was stripped off his parliamentary immunity on charges of "sabotage and destruction of public properties". 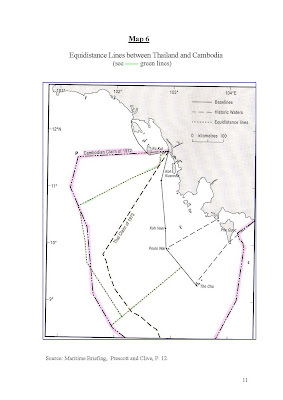 An acre of sea is worth much more than an acre of infertile land, if there is oil and gas. Thus a number of coastal states have excessive maritime claims in order to fully utilize the benefits potentially empowered by international law, including UNCLOS. 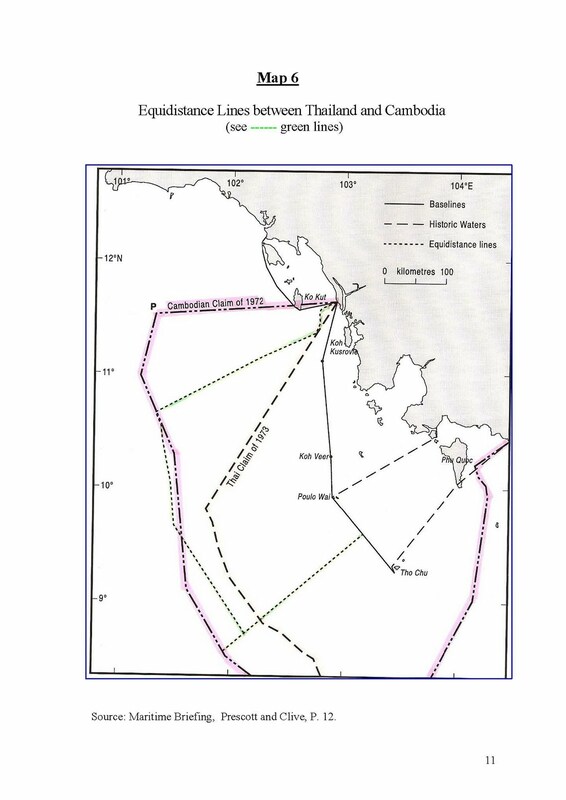 In the case of Thailand and Cambodia they have claimed their maritime zones to benefit their national interest leading to a huge overlapped claimed area. 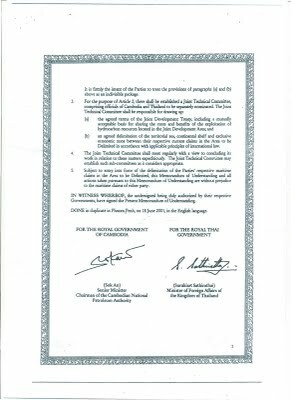 However, both try to solve this problem by reaching the memorandum of understanding to negotiate the maritime delimitation and establish the joint development area (JDA). These disputes were initiated by different interpretation of the Francois-Siamese boundary treaty 1907 . Background fact as a matter of disputes and some arguments of both sides and the principal of delimitation, including scholar's views are given. Activities and conflicts in this area are also presented, followed by the way ahead and conclusion. 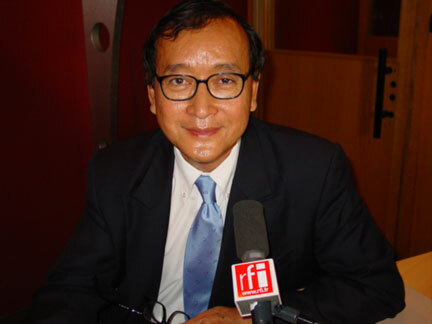 On Sunday 29 November, Sam Rainsy, SRP President who is currently staying in France, called on the government to carefully think about the border problems, both the eastern and western borders. At the same time, Sam Rainsy hoped that he will soon recover his immunity back. However, he did not indicate the date of his return back to Cambodia. Canada, our adopted home, a nation which holds truths to basic principles and values of human rights, freedom and democracy, that we, as Cambodian-Canadians, once victims of past communist regimes, are able to gather to express our views freely as free men. Not in Cambodia, our former country where democracy has merely existed on paper, and in theory - NOT in real life. Freedom of speech and the press has been taken away to a larger extend, so did was our freedom to a peaceful assembly. Today’s demonstration would have landed all participants in prison, if it were held in Cambodia. As such, we could not be free in Cambodia and so the same can be said to an entire population of Cambodia who are currently waking up to a new reality of political oppression orchestrated under the criminalized defamation act. 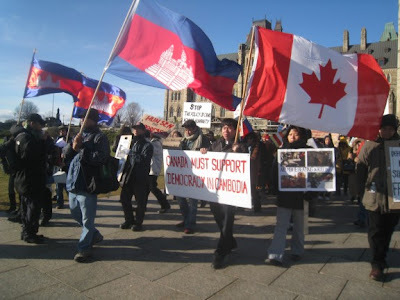 As Cambodian-Canadians, we come together on this November 28, 2009, to express our deepest concerns to the deterioration state of democracy in Cambodia once enjoyed under UNTAC. Furthermore, to call on our great Canadian government and donors’ countries to put an end to the systemic violation of human rights and freedom orchestrated by the Cambodian authorities. It is the only way to ensure long term peace and stability of the country as well as the region as stipulated under the spirit of signed Paris Peace Accord 1991. Since the Cambodian executive body has effective control over three branches of the government, it has used the courts to effectively criminalize anyone on defamation charges, placing strict restriction on freedom of speech, the press and expression. Several journalists and other critics of the government have been imprisoned as a result of such practices. The stripping immunity from elected members of parliament (MP), Mr. Sam Rainsy, Mrs. Mu Sochua, and Mr. Ho Vann, is a way to intimidate and silence opposition critics. It discourages people’s representatives from speaking out critical of government policies. Furthermore, it prevented them from fulfilling their elected roles and responsibilities. 1. Cambodia has no real separation of powers, only in theory. 3. Cambodian Courts are systematically biased - NOT an independent body. 4. Legal professionals are subjected to government intimidation as in the case of MP. Mu Sochua vs. PM Hun Sen.
5. Journalists and government critics have been jailed or killed while others remain outside the country, convicted in absentia on bogus defamation charges. 6. Cambodian government has aggressively acted to seal the mouths of its critics and its political oppositions through its highly vague defamation act. 7. On-going land evictions have caused severe hardship on Cambodian victims across the country. 8. International Emergency aids were selectively and intentionally given to only the government’s party members and their families while denying others belonging to an opposition groups (reported on Radio Free Asia). 9. Stripping immunity from elected members of parliament without any regard for the rights or any concerns of the people whom they represented at their districts. 10. Political killings and persecution still remain problematic for those who seek to involve in the process. One opposition activist has been recently axed to death, while many have fled overseas to escape jail times convicted on defamation charges. 1. Reconvene on the signed Paris Peace Accord of 1991. 2. Pressure Cambodian government to respect its international obligations signed under the Paris Peace Accord of 1991. 3. Pressure Cambodian government to end the erosion process of civil liberties by calling for an end to its authoritarian policy and practices. 4. Call for an immediate restoration of immunities to all elected members of the National Assembly: Mr. Sam Rainsy, Mrs. Mu Sochua and Mr. Ho Vann. 5. Take all necessary steps to force for an overhaul to the highly corrupted Cambodian judiciary system. It’s a must, since the court itself has been totally corrupted through a well managed patronage scheme - Reward and Punishment. 6. Call for releases of all imprisoned journalists and an end to political persecution. 7. Condemn the flawed defamation law which has been used unconstitutionally to suppress people’s rights and freedom on issues critical to corruption and government’s improper activities. 8. Call for an end to forced land evictions. 9. Revoke as well as NOT providing Visa entries into the country by any corrupted official, including any human rights violators. 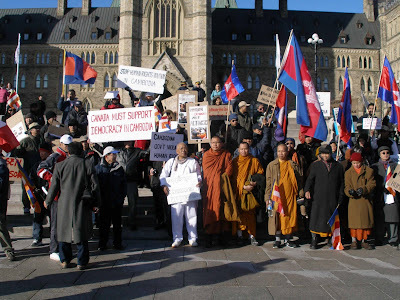 On this day, November 28, 2009, on Parliament Hill, Ottawa, we, as participants in this demonstration, with strong belief and conviction to the cause of human freedom and liberties in Cambodia, hereby submitted this petition for your utmost attention and consideration. Although we are Cambodian/American but today we are here as Cambodian only. 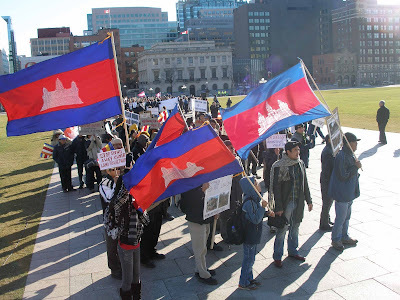 We are here to raise our voice to let the Cambodian government know that we are very much aware of all the unethical and unconstitutional actions of the government toward our Cambodian people in Cambodia. There are people from different state, far and near: Massachusetts is 12 hours driving trip to the Cambodian Embassy in Washington DC; Pennsylvania, 3 hours; North Carolina 6 hours trip and Virginia is the nearest within half an hour away. United Sates is our home but Cambodia is our country. We are here together today intend to hand delivering the petition to the Cambodia Embassy to pass our messages to the Cambodian government. As result no one from the Embassy come out to receive the petition. This is disgraceful because most of the participants have been travel from very far distance. This is also very disgraceful to the Cambodian government because the Embassy is their representative and has no concerns of its people. Instead they video record us behind the glass window from the inside. We don’t understand why they would not come out. We have no intention of harming anyone. Matter of facts this is America not Cambodia! We are protesting peacefully and legally with the consent and obtain the permit from the state of Washington, DC. It is obviously the Embassy denied to accept our petition but I felt that we have accomplish our purpose. We said what we want to say. We said what we have to say. We said what we must say. We said what Cambodian victims in Cambodia could have not said. I am very sure they heard us. I am also very sure their leader will hear us too. * Cambodian government must respect and stop abusing human rights in Cambodia. * Cambodian government must stop land grabbing and illegal evictions in Cambodia. * Cambodian government must restore Mr. Sam Rainsy immunity along with Mrs. Mu Sochua and Mr. Ho Vann. Silencing the opposition is unconstitutional. The Prey Sar prison which is presently home to Thai spy suspect Sivarak Chutipong (pictured) and thousands of other Cambodian and foreign inmates is under fresh fire for its "appalling conditions". The complex - described as one of the most notorious jails in Southeast Asia and often compared with the infamous Tuol Sleng prison under Khmer Rouge rule - has been slammed for alleged human rights violations. "I've often heard about brutal torture against the prisoners there," said a 25-year-old Cambodian woman. "It's really scary. I think most Cambodian people know well about its conditions." Prey Sar is the largest of about 20 prisons in Cambodia. It houses 2,500 to 2,600 prisoners despite being originally designed to house a maximum of 1,200, a prison warder said. Mr Sivarak, who worked at Cambodia Air Traffic Services, was arrested on Nov 12 for relaying information about the flight schedule of ousted prime minister Thaksin Shinawatra, who flew into Phnom Penh a day earlier after being appointed economic adviser to Prime Minister Hun Sen.
Prey Sar, in Dor Kor district about 10km from central Phnom Penh, is under the supervision of the Ministry of Interior and the Health Ministry. The public perception of the prison is one of "fear and brutality". It is reportedly cramped and lacking in proper health care. "We have treated all prisoners well - all the allegations are groundless," said the prison warden. He said all prisoners had good sleeping arrangements. If they were ill, the prison provided them with proper medication. "I have seen and talked to Sivarak. He is healthy. We take care of him very well because we know what is what," the warden said. It has been more than 10 years since the Cambodian government moved prisoners from the centuries-old jail built during French colonial rule in central Phnom Penh near the Royal Palace complex to Prey Sar. Prey Sar was a commune and detention centre during the Khmer Rouge regime from 1975 to 1979, when more than 1.7 million people lost their lives. Some say the brutality at Prey Sar is reminiscent of Tuol Sleng, the torture and detention centre also known as S-21 and now a genocide museum. "Prey Sar is not much different," said 51-year-old Sameth Tul, a victim of the Khmer Rouge regime. Sameth Tul was 17 when Khmer Rouge soldiers took control of Phnom Penh and later ruled all of Cambodia. He was living in Takai province, south of Phnom Penh, at the time. His family was sent to work in a nearby commune and lived there for nearly four years until the collapse of the Khmer Rouge regime. "Fortunately, no one in my family was killed because we were all farmers," he said. "Those being killed were doctors, teachers, academics and lawyers. "I remember the whole experience of when I was locked up in the commune camp," Sameth Tul said. "I had to get up at 3am and [go to] sleep at 11pm. "Many people died of torture, and lack of food and sleep." Fugitive former prime minister Thaksin Shinawatra is willing to help the detained Thai engineer in Cambodia if the Thai government could not help him, Thaksin's legal adviser Noppadon Pattama said on Sunday. Sivarak Chutipong, an employee of Thai-owned Cambodia Air Traffic Services, was arrested on Nov 12 on charges of leaking information concerning the flight plan of Thaksin Shinawatra as he visited Phnom Pehn. "Thaksin is willing to ask the Cambodian court for mercy for Sivarak if he is found guilty," former foreign minister Noppadon said. He said Thaksin is still in Dubai. Thaksin's activities had affected the government's stability and the image of Thailand to the eyes of foreign countries was less positive, he said. "On the idea of having a mediator for the negotiation between Thaksin and the government, Thaksin is not sure about the government's sincerity," he said. 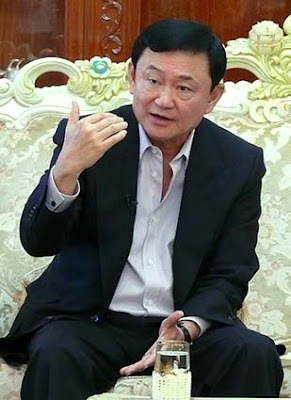 The United Arab Emirates would ask fugitive former prime minister Thaksin Shinawatra (pictured) to leave the country if he uses it as a base for attacking the Thai government, Foreign Minister Kasit Piromya's assistant Panit Vikitset said on Sunday. "The UAE has agreed with the Thai government that if Thaksin uses the country as a base for urging people to gather in political rallies and criticising the Privy Council, he would be asked to leave immediately," Panit said. He said the country would allow the ousted premier to stay as a businessman or a normal citizen. The Thai government did not make a mistake when it decided to revoke Thaksin's passport since it had to follow the regulations, he said. "If anyone causes damage to the country, the person's passport will be revoked," he said. 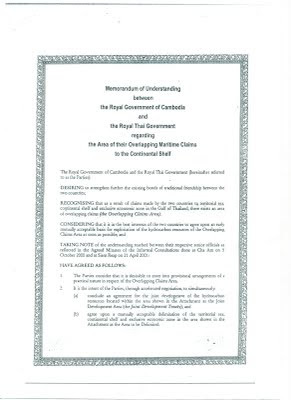 Responding to Thaksin's comment that he would reside in Dubai throughout his life, the Foreign Ministry had send a letter to the UAE government after the red-shirt leaders of the anti-government United Front for Democracy against Dictatorship (UDD) travelled to Dubai to meet him. "It is the responsibility of the Interpol to track Thaksin down," Panit said. He insisted Thaksin had changed his name to 'Takki Shinegra' in his foreign passports after the name 'Thaksin Shinawatra' did not appear in the arrival lists of many countries. Thaksin earlier posted a Twitter message, rejecting the news that he was using a new name. 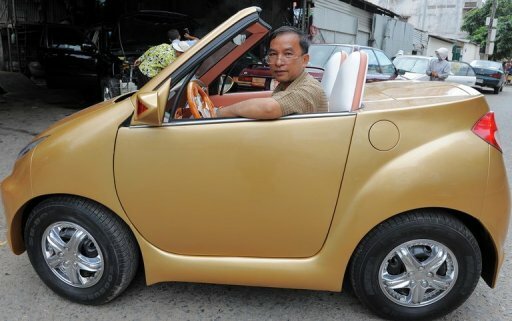 PHNOM PENH (AFP) — The gold-coloured convertible turns heads on impoverished Cambodia's roads -- not least because of creator Nhean Phaloek's outlandish claim that it can be operated telepathically. "I just snap my fingers and the car's door will open. Or I just think of opening the car's door, and the door opens immediately," says the 51-year-old as he proudly shows off the homemade car, named the Angkor 333-2010. Onlookers gasp as he demonstrates the trick, and with the fibre-glass vehicle having cost him 5,000 dollars and 19 months of labour he is in no mood to reveal the remote control system behind it. But as with a handful of other Cambodians who make their own curious cars, he dreams the two-seater will help foster an automobile industry in the country, still poor after decades of conflict. "I am very excited and proud of this car because many people admire me and keep asking me about how I can make it," he says, adding that it reaches speeds of up to 100 kilometres (62 miles) per hour. Kong Pharith, a 48-year-old former maths and physics teacher who has also produced his own car, says an auto industry is about to blossom in Cambodia. "Our works will be part of a motivating force for the next generation to access new inventions and show the world that Cambodia has an ability to do what you think we cannot," he says. The inventor, who first came to national attention in 2005 for building a solar-powered bicycle, thinks he has now hit on a truly unique product with his orange, jeep-like vehicle with solar panels on its roof. Kong Pharith says it took him four months to design and put the final polish on his "tribrid" car which operates on solar energy, electricity and gasoline, hitting speeds of up to 40 kilometres per hour with its 2,000 watt motor. "I'm really happy about my achievement but not very satisfied with it yet," he says, adding that Cambodia's lack of modern technology and materials are a minor obstacle to efficient manufacturing. The dream of building cars in Cambodia may not be far-fetched. Officials have announced plans for South Korean automaker Hyundai to open a plant in southwestern Cambodia, assembling some 3,000 vehicles per year. Cambodia did actually assemble cars in a factory during the 1960s, before the country was caught in the maelstrom of the Vietnam War. During the brief manufacturing run, the car known as the "Angkor" was made from imported parts and domestically-made tyres. Very basic Cambodian-assembled vehicles also still regularly rumble around the countryside, where approximately 80 percent of the country's 14 million people live. Farmers often depend on "robot cows", large shop-made open-bed trucks with Chinese or Vietnamese engines, which are used to transport people and rice. The machines, which generally cost a couple of thousand dollars, also serve as generators or water pumps when they are not heaving along pot-holed rural roads. But in the capital Phnom Penh, elites and the nascent middle class can often be seen driving expensive imports, which are considered a symbol of status and achievement. "(Cambodians) put more attention into their cars than the clothes they buy," says Jean Boris Roux, who imports Ford vehicles to Cambodia as the country manager for RM Asia. "I think it's very important for Cambodians to show the success in their professional life through the vehicles they drive," he adds. Despite the Cambodian love for cars, Roux and several other analysts say its doubtful proper domestic manufacturing will emerge here soon -- especially since neighbouring Thailand remains Asia's auto assembly giant. "It's not just about having four walls (for a factory). You need hundreds of companies supplying seats, steering wheels, hoods... This is not going to happen in Cambodia for a number of years," Roux says. Until then, Nhean Phaloek says he will keep making cars at home. The Angkor 333-2010 is the third he has built, and his first to talk. When he slams the door a voice out of the dashboard moans: "Why do you close me too strongly?" "Dozens of local and foreign guests have come and seen my car," Nhean Phaloek says with a smile. "One British man told me that it is the Cambodian James Bond car." Duch reading document during court session. PHNOM PENH (AFP) — A last-minute bid for release by Khmer Rouge jail chief Duch has underscored deep rifts between foreign and Cambodian staff that threaten the UN-backed court, officials and diplomats said. Duch's defence strategy imploded on the final day of his trial Friday, when he suddenly demanded his release after months of admitting responsibility. Then his international and local lawyers put forward opposing arguments. French counsel Francois Roux asked judges to consider Duch's remorse in a bid to reduce a possible 40-year sentence. But his Cambodian colleague Kar Savuth said the court was not competent to hold the trial. "There are, in Cambodia, a number of people who do not want this court," Roux told AFP, hinting that the strategy of his colleague, the lawyer of Cambodian Prime Minister Hun Sen, was motivated by political objectives. The same criticism has been heard from prosecutors, judges and diplomats since the tribunal was created in 2006 as a final chance for justice for victims of the communist regime that killed up to two million people in the late 1970s. Cambodian and international prosecutors have openly disagreed whether the court should pursue more suspects, while the Cambodian investigating judge has refused to summon high-ranking government officials as witnesses. Hun Sen himself said in March that he would "prefer for this court to fail" than see further prosecutions that could stoke civil strife. Asked recently about the possibility of opening further cases, a senior government official told AFP: "These are decisions taken by people who understand nothing about Cambodia." The disharmony predated the court's creation, recalls David Scheffer, a former US ambassador who took part in the lengthy negotiations to set up the tribunal. "This is what's unique about it. But that does not mean it is not workable. We just need to accept that there is a certain amount of discord," Scheffer said. The issues run deep. How many former Khmer Rouge cadres should be brought to trial? Who should the witnesses be? And how to attribute blame when several senior regime members are back in positions of influence -- not least Hun Sen, who defected in 1977 to join Vietnamese-backed anti-Khmer Rouge forces? "The former Khmer Rouge people are not only in the jungle. They are in power now," said Thun Saray, the head of ADHOC, a Cambodian human rights organisation. Unlike other international tribunals, the Extraordinary Chambers in the Courts of Cambodia functions under local laws, with the United Nations playing only a supporting role. "The UN are invited here, we have a very weak mandate," said Knut Rosandhaug, the court's deputy director for administration. "We have a parallel structure with a dual management. There are two bosses in each and every office," the Norwegian said. "This is OK if the two brains think the same but if they don't, it can get sometimes complicated to make it work." 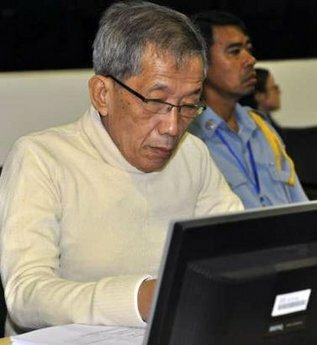 The 67-year-old Duch -- a former mathematics teacher whose real name is Kaing Guek Eav -- is accused of overseeing the deaths of 15,000 people at a notorious torture centre. He is set to be sentenced by March 2010. In its second case, the court is due to deal with four detained senior Khmer Rouge leaders including the regime's "Brother Number Two", Nuon Chea. All protest their innocence and their lawyers are gearing up to fight hard. More than ever, said Scheffer, it is the Cambodians who are in control. "It's up to the Cambodian society to decide who to reach beyond these (five) people," he said, referring to Duch and the other four facing trial. Further cases involving five other suspects who are under preliminary investigation have barely begun. Kar Savuth told the court last week that "only the senior leaders of the Khmer Rouge regime and those most responsible would be brought to trial". He then reeled off a list of 14 people, 11 of whom are dead. Opposition activists were and are distributing Sam Rainsy's message attacking PM Hun Xen's government for causing the loss of Cambodian territories to the benefit of Vietnam. At the same time, SRP MPs are asking the government to make available to the public documents regarding the legal aspects of the border resolutions with Vietnam. The latest report indicated that one SRP activist has been detained for the distributions of these leaflets. Numerous SRP activists in the entire country are currently distributing leaflets about the border problems to Cambodians. The SRP leaflets contain the message issued by Mr. Sam Rainsy to the people of Cambodia, dated 19 November 2009. The content of the message blames Hun Xen's government for leading a dangerous policy involving border problems. In the same message, Sam Rainsy also accused Hun Xen of turning the public attention to the western border with Thailand while ignoring the danger along the eastern border with Vietnam. Yim Sovann, SRP MP and SRP spokesman, indicated today that his party plans to distribute 50,000 copies of Sam Rainsy's message to Cambodians at various places all along the country. According to Yim Sovann, the goal of this distribution is to inform the people about the border problems [and the loss of Cambodian territories] to the benefit of neighboring countries. At the same time, SRP MP Son Chhay wrote a letter to PM Hun Xen asking the government to issue documents about the legal aspects taken by the government to resolve border disputes with Vietnam. Son Chhay's letter was forwarded by Heng Samrin to the government on Thursday, but so far there is no answer from the government yet. Government officials could not be contacted to comment in this issue as of today, however, reports have indicated that the authorities have prevented and arrested a number of leaflet distributors and brought them in for education so that they stop taking such action again. Opposition leader Sam Rainsy was accused by the top three leaders of the ruling party (Xen, Xim and Xamrin) of instigating problem for political gain, and of disturbing the government work in its resolution of problems with Thailand. The determination of the opposition party to distribute these leaflets is a new issue that increases further political tension in the country. The opposition's action takes place after Sam Rainsy's political immunity was lifted at the beginning of November. Siwarak's mother- Simarak na Nakhon Phanom (L) and his brother -Pongsuri were allowed to visit him in jail on Friday 27th November 2009. The diplomatic dispute between Thailand and Cambodia has been eased after the latter allowed the mum of jailed “Thai spy” to meet her son at Prey Sar prison, Democrat Party spokesman Buranat Samutrak said on Saturday. Mr Buranat said the political movements by ousted prime minister Thaksin Shinawatra received no responded from the armed forces of the two countries. He said Cambodian Defence Minister Tea Banh had on Friday clearly said that the legal trial case against the arrested Thai engineer, Sivarak Chutipong, had nothing to do with politics. Thai and Cambodian defence ministers vow to keep peace. They agree that a recent diplomatic row between two countries will not lead to conflict on border. The Thai-Cambodia general border committee meeting in Pattaya concluded on Friday that only peaceful means should be used in settling border disputes between the two countries. Kao Soupha is a lawyer who is well used to government pressure. The 37-year-old Cambodian believes that if a lawyer is afraid of the state, then many innocent people will have no chance to defend themselves. For this reason he decided to represent jailed Thai engineer Sivarak Chutipong. Mr Sivarak, 31, an employee of Thai-owned Cambodia Air Traffic Services, was arrested on Nov 12 on charges of leaking information concerning the flight plan of Thaksin Shinawatra as he travelled to Cambodia. Mr Sivarak is being held at Prey Sar prison, pending a bail consideration and first hearing on Dec 8. "I see he [Mr Sivarak] has a good chance of being freed as I believe he did not really steal the flight records," Mr Soupha said. Mr Soupha admits his client was in a position to know of all the flights in an out of Cambodia but that Thaksin's flight plan was not a secretive matter. Had Mr Sivarak "spied", he would not have left Cambodia and travelled to Laos on Nov 6 and returned to Cambodia on Nov 9, says Mr Soupha. He acknowledged the arrest of Mr Sivarak was a headlining issue between the two countries, but it was not a complicated case because as far as he knew there was not much evidence supporting the plaintiff side. Mr Soupha also believes the arrest of Mr Sivarak was politically motivated and the case should be resolved by the two governments. "They are playing a game and Mr Sivarak is, unfortunately, in the middle," he said. According to Cambodian law, if Mr Sivarak is found guilty of spying he faces a jail term of between seven and 15 years. Mr Soupha specialises in providing legal counselling for Cambodian and foreign people. 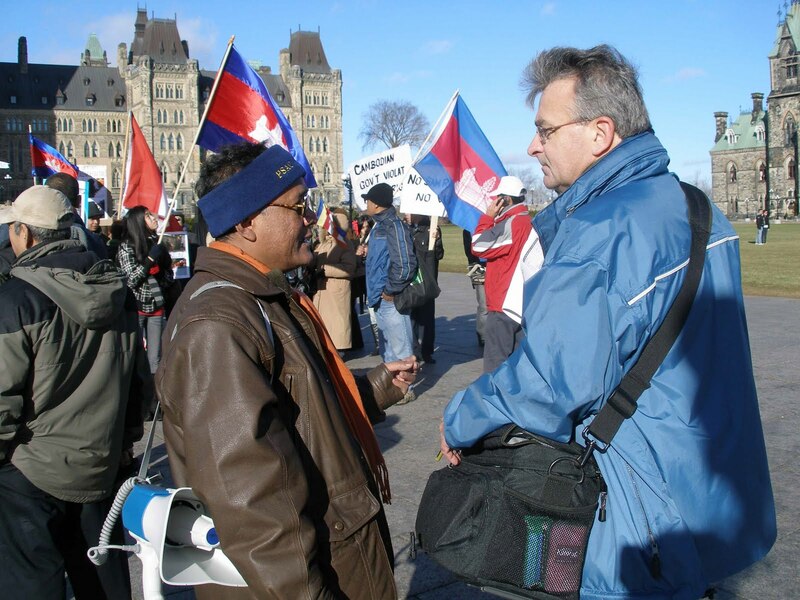 Most of his cases are concerned with human rights violations and alleged unfair treatment by the Cambodian government. He often deals with the Thai community in Phnom Penh and is regularly contacted by the Thai embassy in Phnom Penh. Many in the international community are calling the first Khmer Rouge Tribunal trial of Kaing Kek Iev, or Duch, a relative success as the trial closed. 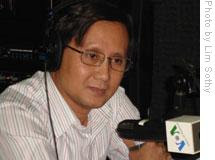 The Open Society Justice Initiative recently issued a report that the trial “generally satisfied international standards of fairness and due process.” However, according to the report, there have been indications that Cambodian government officials may not participate in future cases, making it difficult to conduct a fair trial for the four Khmer Rouge members awaiting trial: Nuon Chea, Khieu Samphan, Ieng Sary and Ieng Thirith. However, neither the staffer nor Duch could remember where Meng's wife spent her last moments. I never entirely understood the saying ‘Justice delayed is justice denied.' With my mom's passing at age 73, before she ever saw a single defendant serve a prison sentence, I now understand. Duch, who had offered his apology during the trial, has now asked for the charges against him to be dropped. Abhisit (L) and Hun Sen.
Prime Minister Abhisit Vejjajiva said yesterday Cambodia's decision to scrap a 1.4 billion baht loan from Thailand to subsidise a road improvement project was the result of a misunderstanding. He was responding to a news report which quoted Cambodian Foreign Ministry spokesman Koy Kuong as saying Phnom Penh decided to cancel the loan. Mr Abhisit said Cambodia thought Thailand terminated the loan so it sent a letter to inform the government that it would cancel the loan. He said talks were under way to correct the mix-up. "Cambodia thought we had cancelled [the loan], so they sent a letter to cancel it," Mr Abhisit said. "In fact, the cabinet hasn't made a decision on the loan scheme." The 1.4 billion baht loan to upgrade a road from Surin to Siem Reap was discussed by the cabinet after the recent diplomatic spat erupted. However, the termination of such an international agreement requires approval from parliament to take effect. Thai-Cambodian ties turned sour when Cambodia's Prime Minister Hun Sen appointed Thaksin Shinawatra as an economic adviser. Relations took a turn for the worse when Cambodia rejected Thailand's request for extradition of Thaksin to serve a two-year jail sentence and Thailand responded by threatening to review agreements and projects including the loan in question. 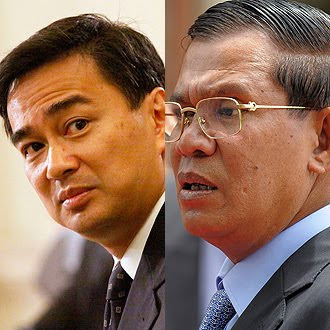 Mr Abhisit yesterday brushed aside former foreign minister Surakiart Sathirathai's suggestion that the government initiate talks with Phnom Penh to normalise the ties. He said the results of the meeting of the Thai-Cambodia General Border Committee (GBC), which concluded on Friday, were satisfactory. Thani Thongpakdi, deputy spokesman of the Foreign Ministry, said yesterday the ministry received Cambodia's letter to terminate the loan deal. He declined to say if Phnom Penh's latest move was suggesting bilateral ties were further strained. He said it was a normal practice for governments to review and if necessary cancel loan deals. Meanwhile, the GBC meeting and the meeting between detained Thai engineer Sivarak Chutipong and his mother, Simarak na Nakhon Phanom, was seen as a good sign for bilateral relations. Mr Sivarak, official of the Cambodian Air Traffic Services, was arrested on Nov 12 for allegedly stealing flight information concerning Thaksin. It took two weeks before his mother was allowed to visit him at prison. His bail request is pending a court review. Mr Sivarak is scheduled to appear in court for a first hearing on Dec 8. 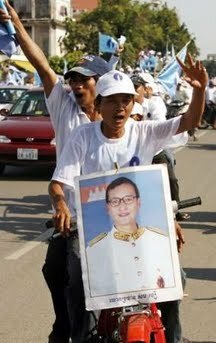 An opposition Sam Rainsy Party (SRP) member was briefly detained by police while distributing "Mr. Sam Rainsy's message to the Cambodian people" near Wat Phnom in central Phnom Penh, reports everyday.com. According to a reliable source, 48 year-old Mrs. Huy Thu, from the suburb of Tuol Kork, has been arrested on charges of distributing Mr. Sam Rainsy's leaflets attacking the government's policy on border issues. She was detained briefly, but after questioned and warned by police was allowed to go home without any charges. The detention of Huy Thu happened at the same as there are news that 100 members of the SRP, including Mr. Sam Rainsy personal bodyguards, had just defected to the ruling Cambodian People's Party. More than 100 Sam Rainsy Party members, including Mr. Sam Rainsy's personal bodyguards, had defected to the Cambodian People's Party (CPP) at its Phnom Penh's Meanchey district branch, reports Deum Ampil. Mr. Kuoch Chamroen, the CPP's Meanchey district governor, had confirmed the defections on Saturday, 28th November. "Today we are busy organising a very friendly reception ceremony to receive them. They have defected to us without any coercion or without any offerings of incentives. They defected to us voluntarily", he said. Mr. Kuoch Bunroen futher added that among the defectors, there are a number of Mr. Rainsy's personal bodyguards. "Among the defectors, we've seen some of Mr. Rainsy's bodyguards had also defected to us, when in the past these bodyguards had risked their lives to protect Mr. Rainsy", he added. Khmerization is unable to confirm the defections as Deum Ampil News failed to seek confirmation from the Sam Rainsy Party (SRP) about these alleged defections. Mr. Sam Rainsy is still overseas, after the Cambodian National Assembly had stripped him off his parliamentary immunity on 16th November on charges of "sabotage and destruction of public properties" after he had led 100 villagers to uproot six border poles in the middle of Khmer farmers' rice-fields he accused of illegally planted by the Vietnamese authority. The latest news from Deum Ampil website reported that the SRP officials had conceded that the reports of the defections are true. Deum Ampil quoted Mr. Chea Poch, SRP MP for Prey Veng constituency, as conceding that some SRP members had defected to the CPP, but he said that this is their democratic rights.